Battle is a small town and civil parish in the local government district of Rother in East Sussex, England. It lies 49 miles south southeast of London, 28.5 miles east of Brighton and 21 miles east of the county town of Lewes. Nearby towns include Hastings to the southeast and Bexhill-On-Sea to the south. It is the site of the Battle of Hastings, where William, Duke of Normandy, defeated King Harold II to become William I in 1066. Battle is situated in the heart of the Sussex Weald in the designated High Weald Area of Outstanding Natural Beauty. Been trying to review this tea room for a couple of years but due to its popularity and location, I have been unable to get a table! So a Thursday lunchtime visit rather than a weekend is the trick in getting a table. The old beams and wooden floor look great with the old fire place and front and rear outside seating is available for the sunny days. The usual tea room menu was available alongside saucer sized scones and being a restaurant a selection of light meals including specials. I had a chicken tikka masala. There are two tall glass cabinets displaying fresh cakes and scones. Like the Croft Tea Room in St Mary Cray, the cleanliness of the glass display is immaculate.....well done to the owners. The music via a radio station is a little loud and there are some blown light bulbs. 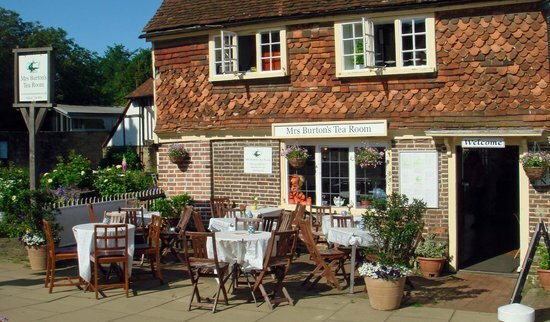 Saying this, I could recommend this tea room which is owned by Nicolas Georgiou and Maria Vakis. Parking is difficult and I tend to park outside the town and walk and enjoy ancient Battle. 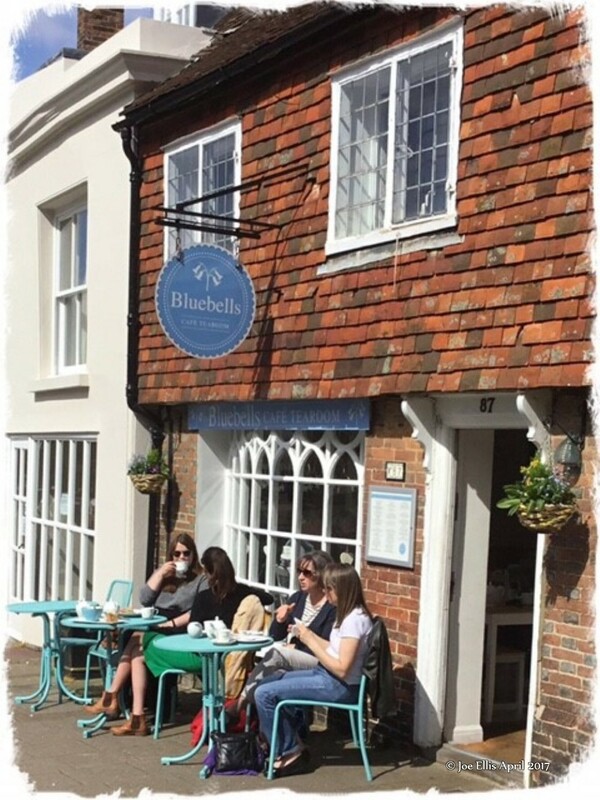 Tina, the owner of the Bluebells Café Tearooms runs a modern tea room, but nevertheless, a tea room of high class. Nice tea room with two seating areas available at the front and rear. A lovely, bright and airy place to enjoy lunch as I did; a prawn jacket potato and a pot of tea and my wife Sandra enjoyed a piece of cherry bakewell sponge, helped by a nice pot of English brewed tea. Although a small place, it was very cosy with nice, friendly and happy staff. I can recommend Bluebells. Parking is difficult. However, I park slightly outside the town and take a nice walk enjoying this very traditional areas of England.